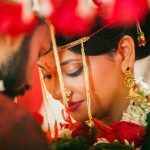 Every wedding is unique; it is a union of two beautiful souls that come together to share each other’s lives and blossom together. 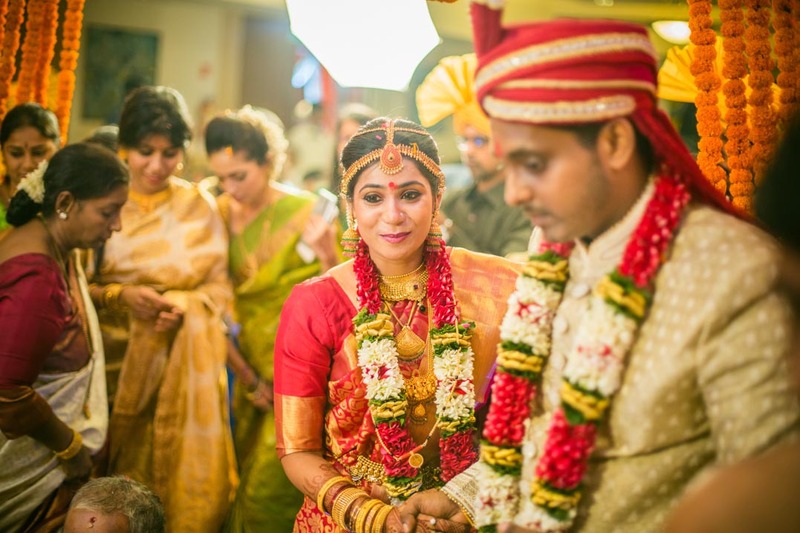 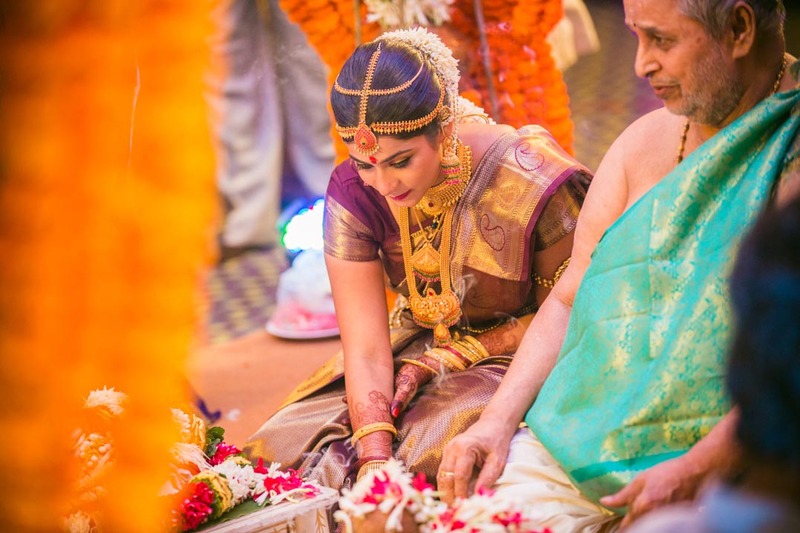 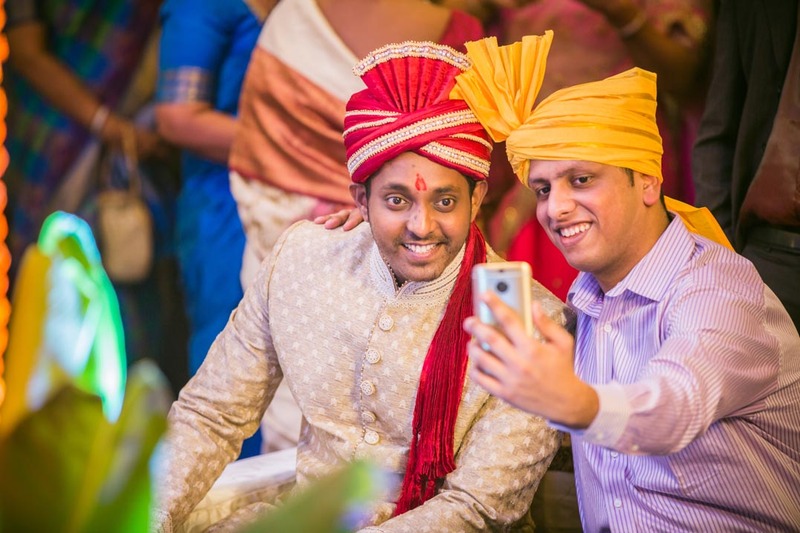 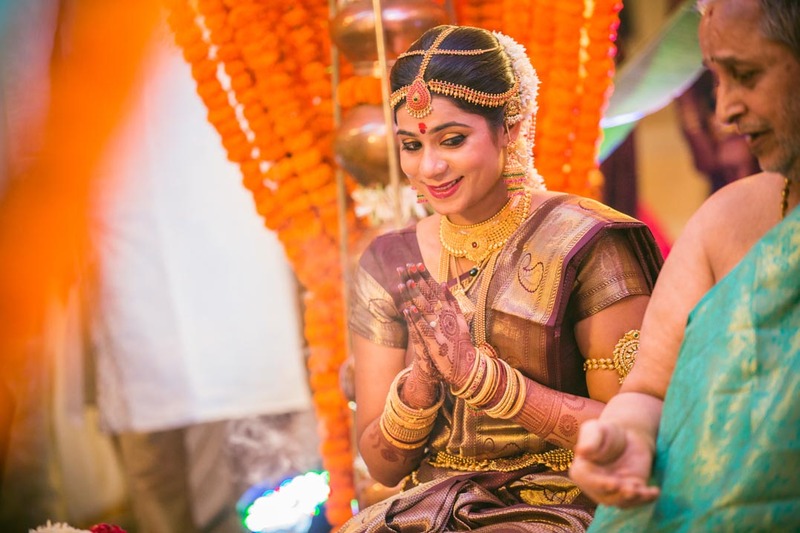 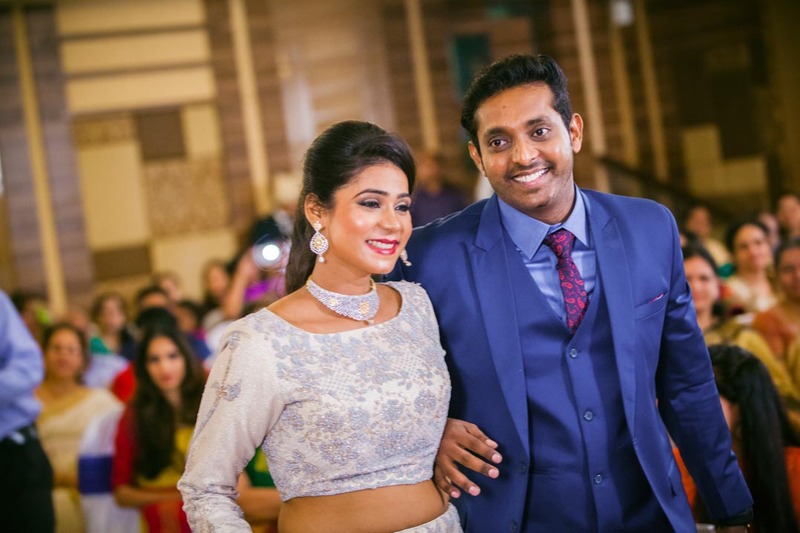 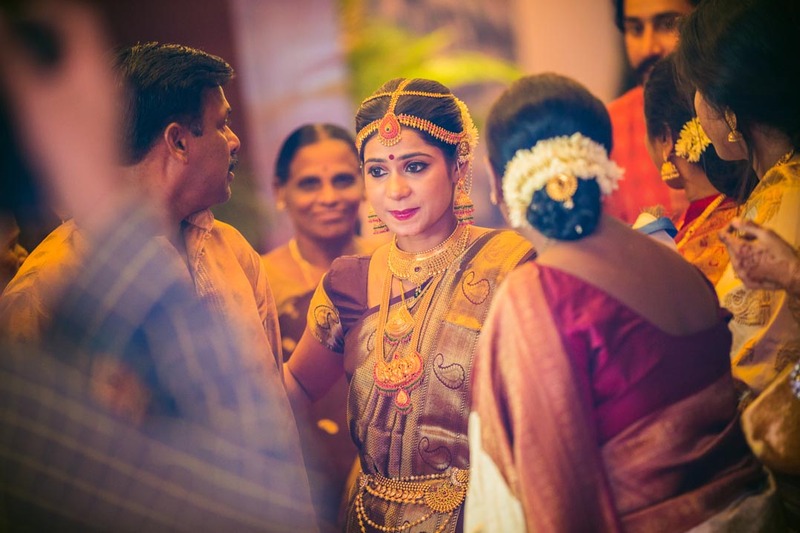 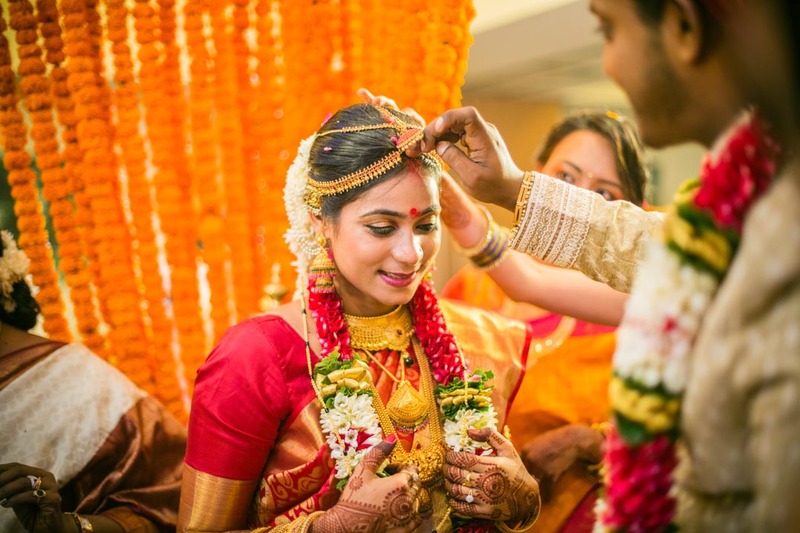 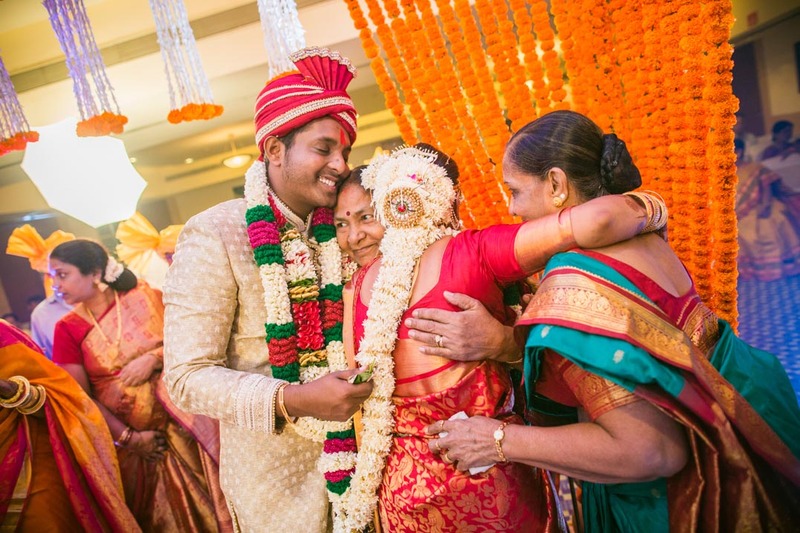 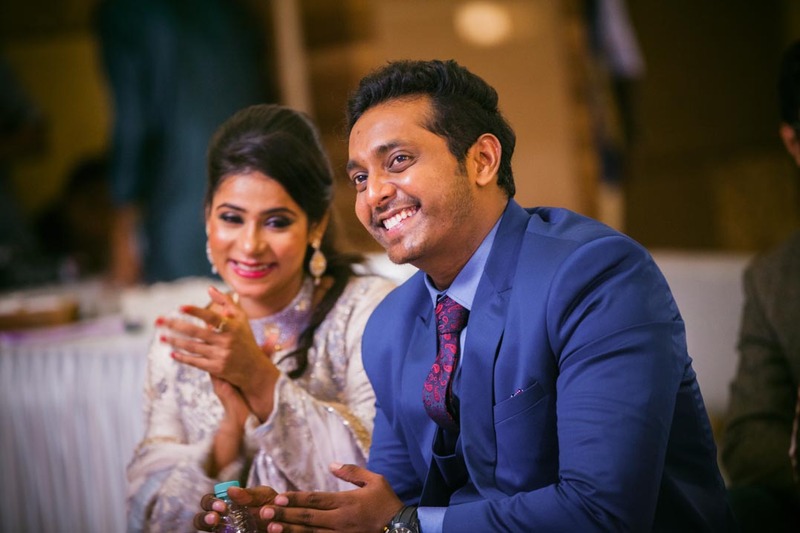 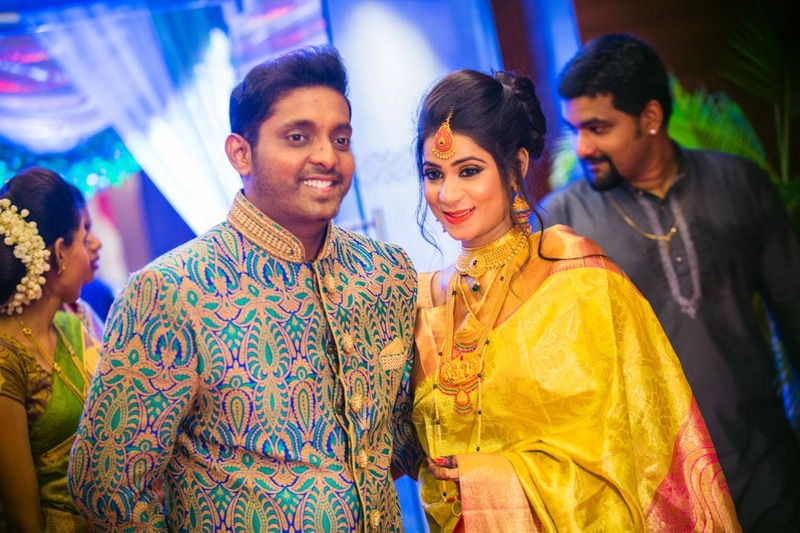 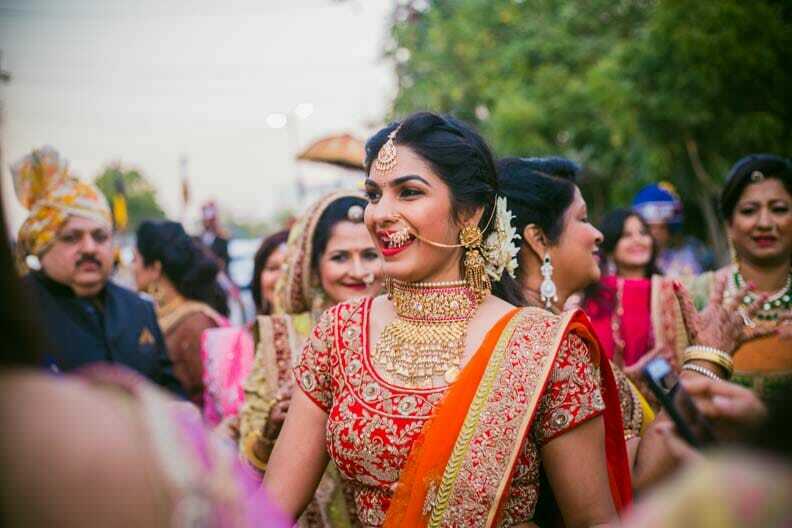 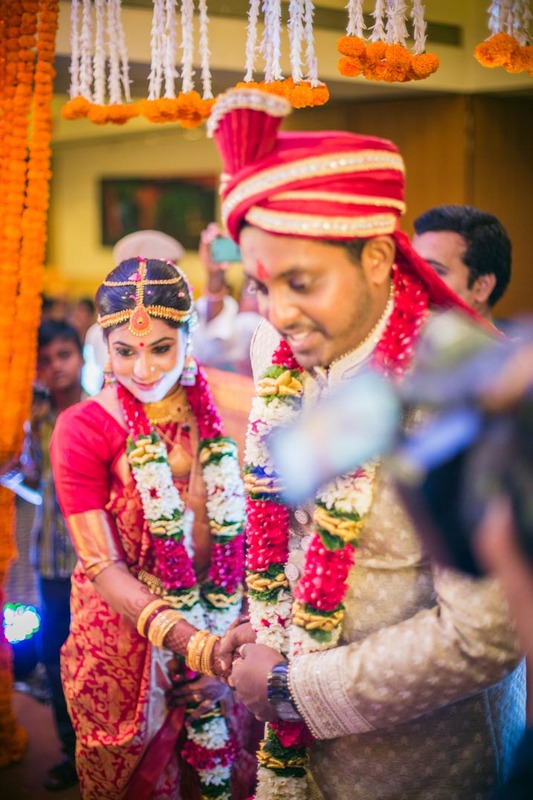 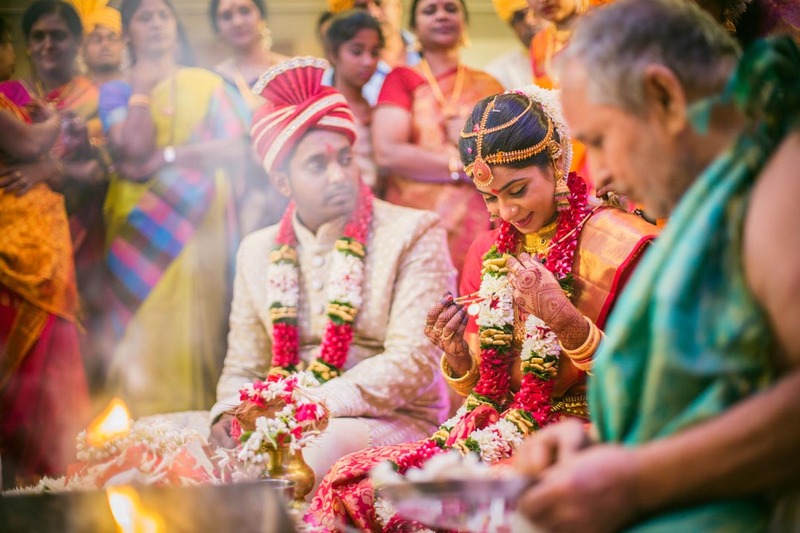 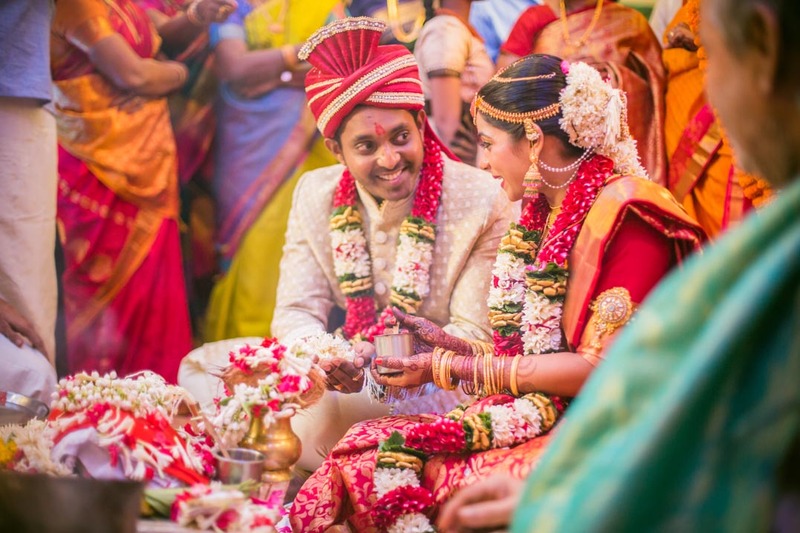 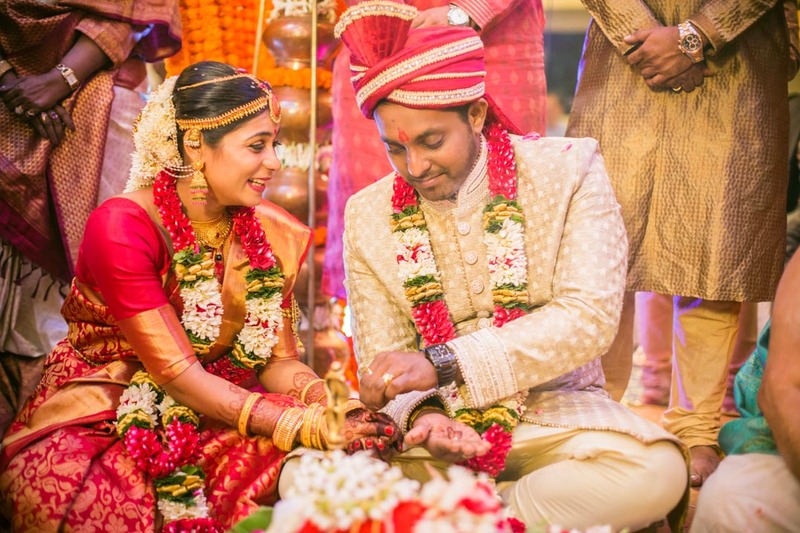 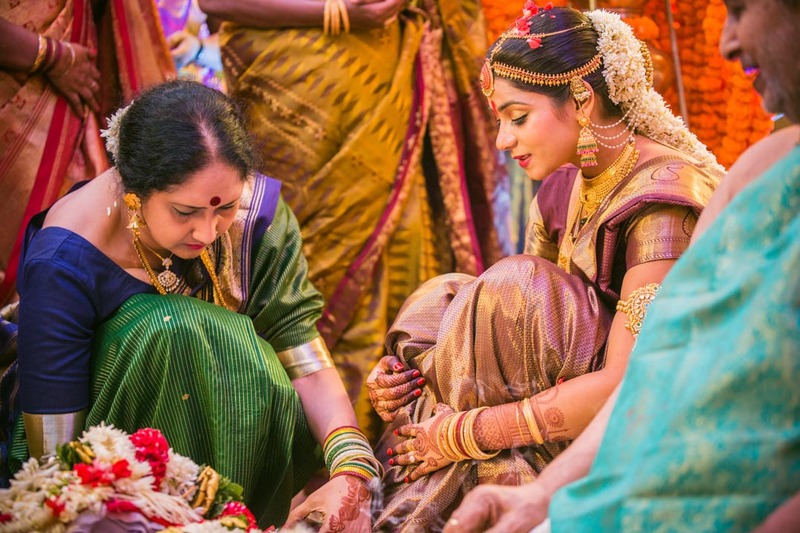 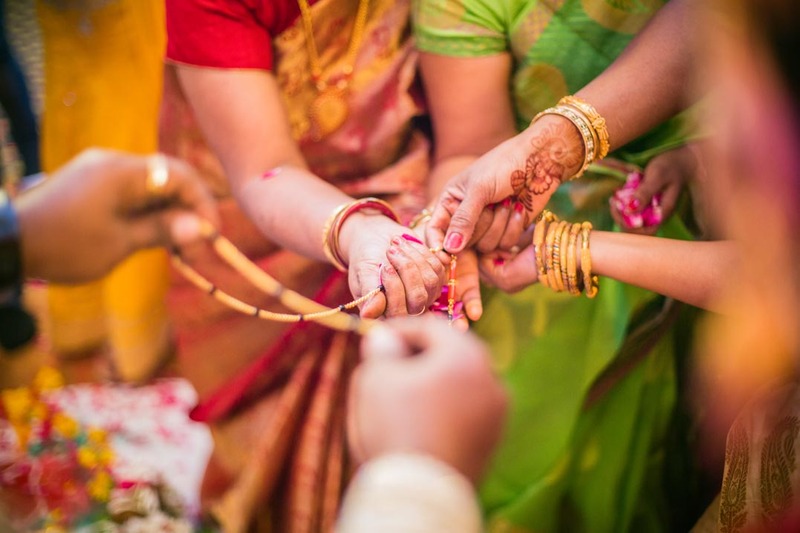 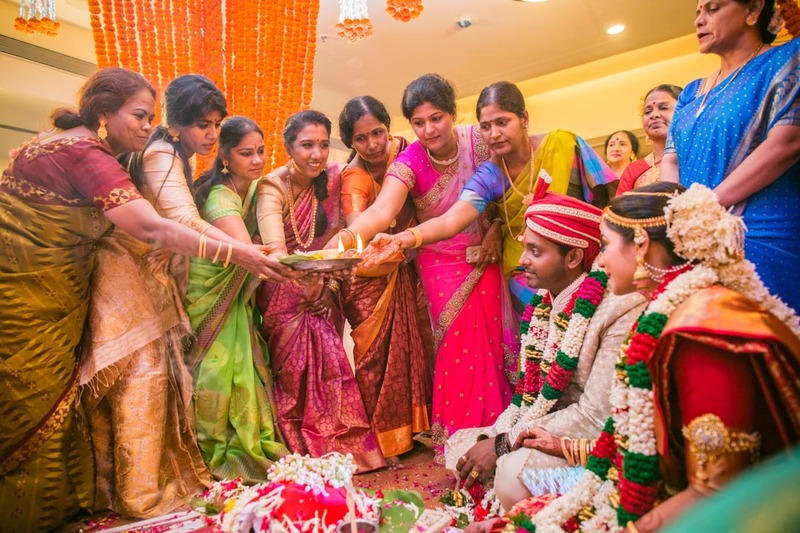 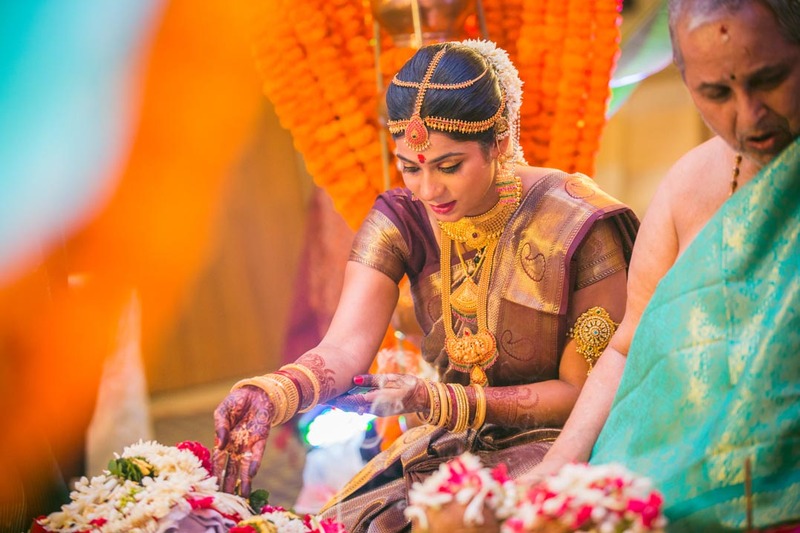 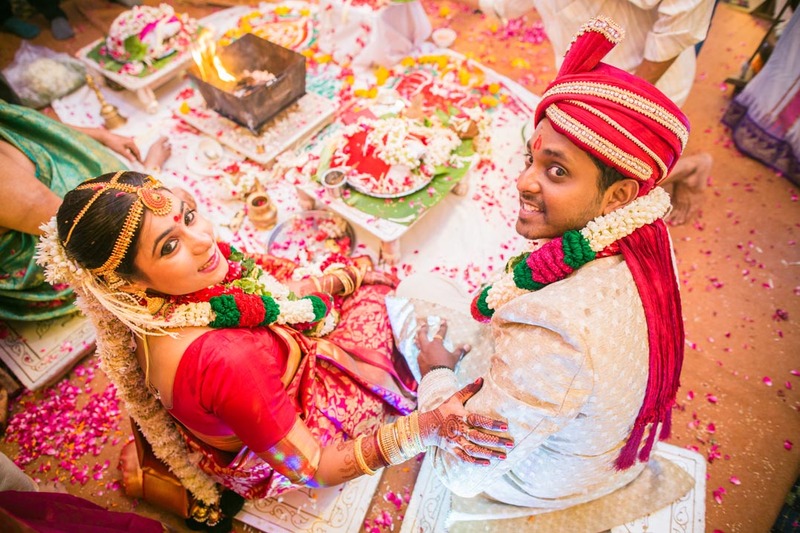 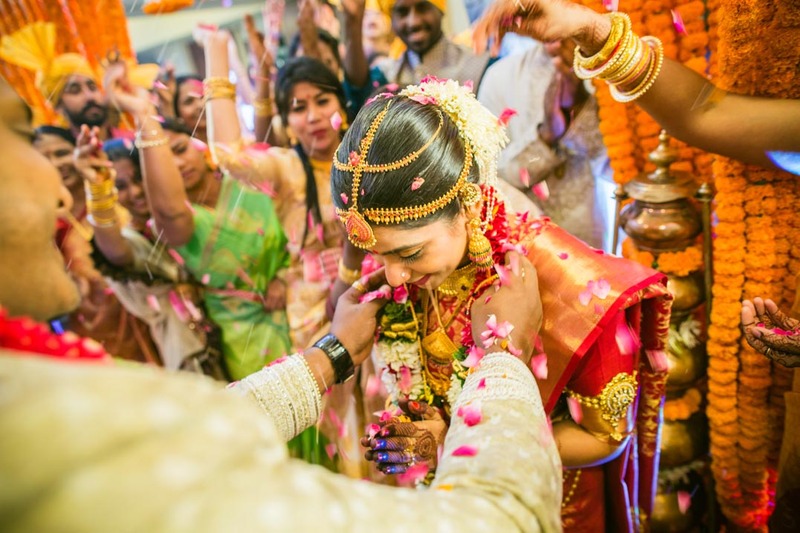 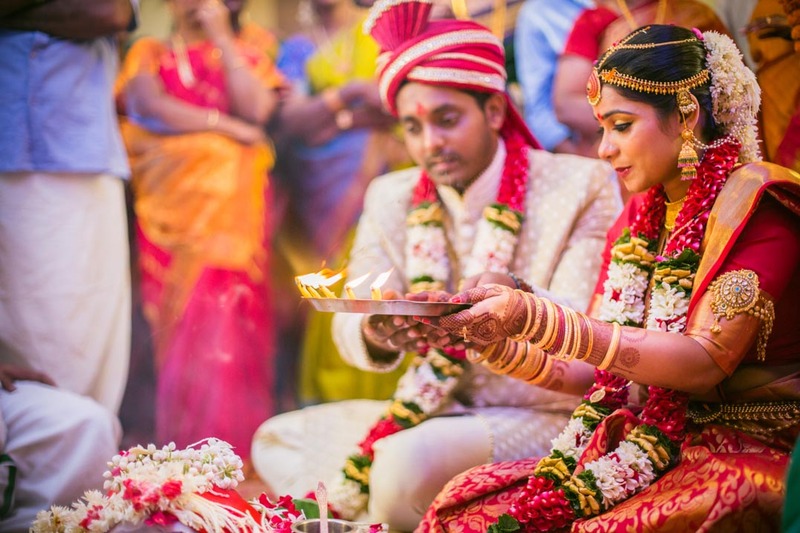 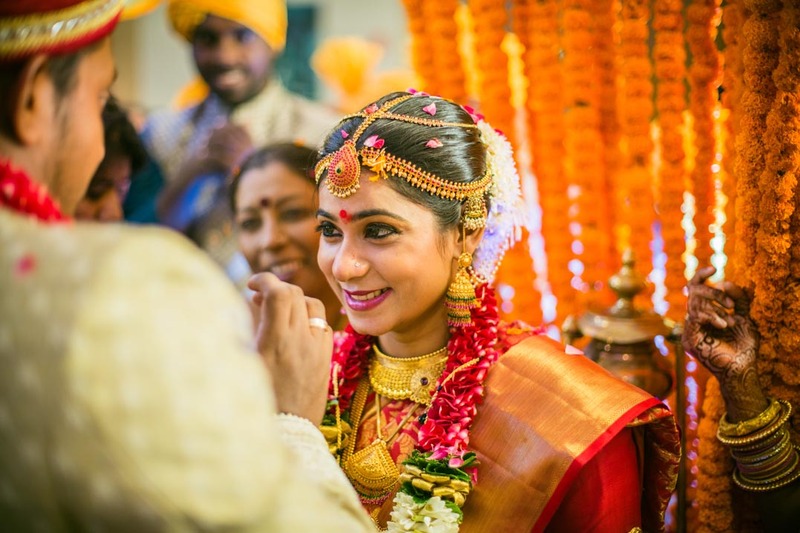 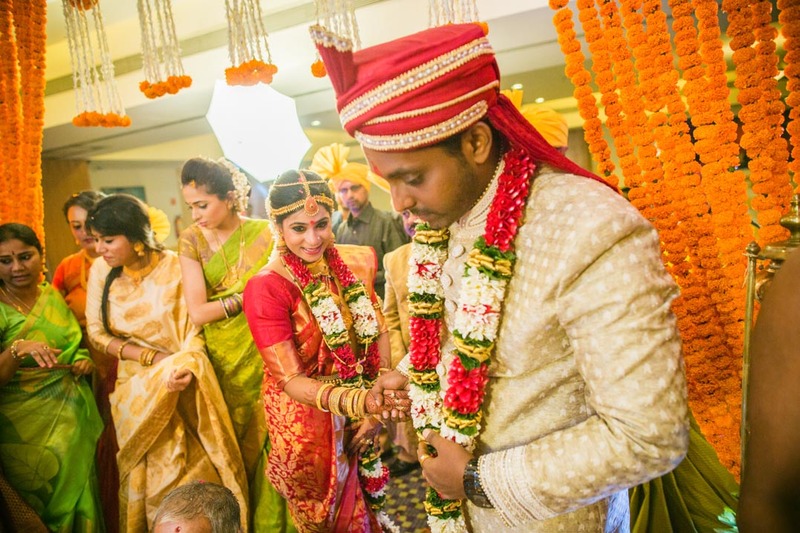 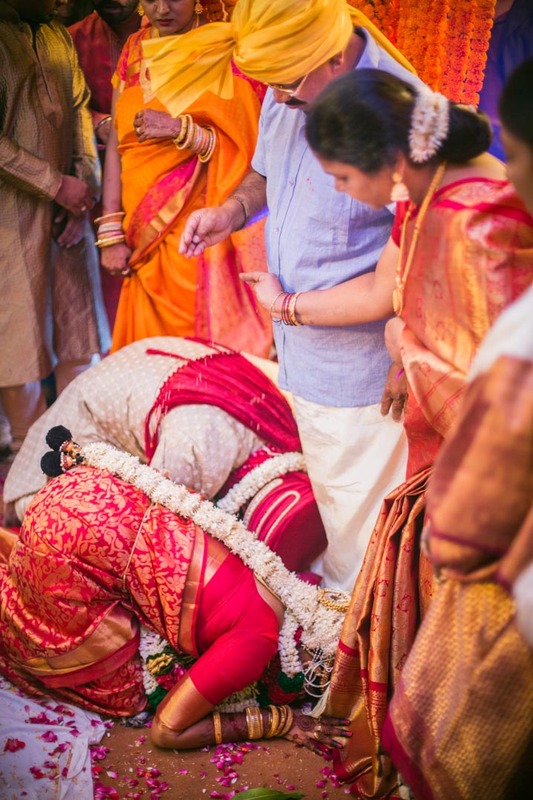 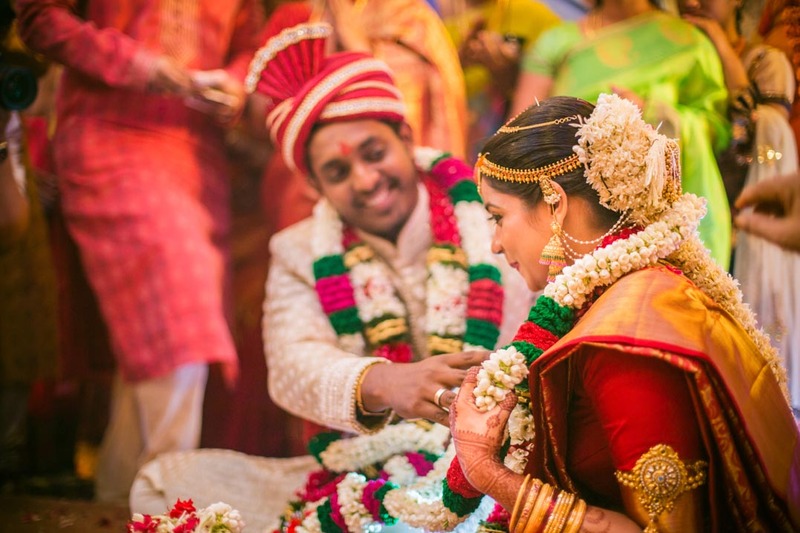 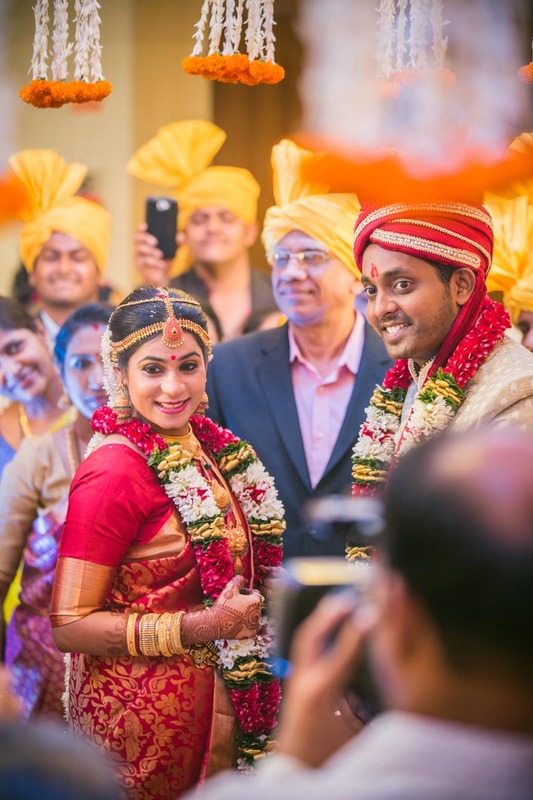 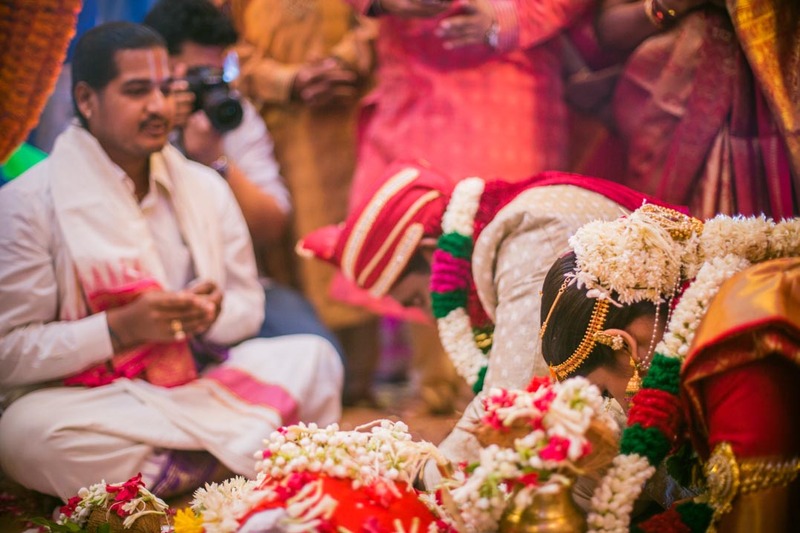 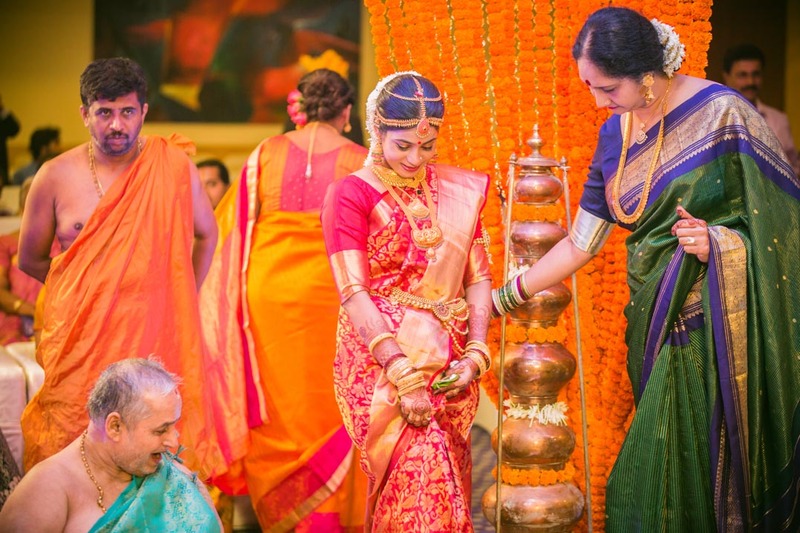 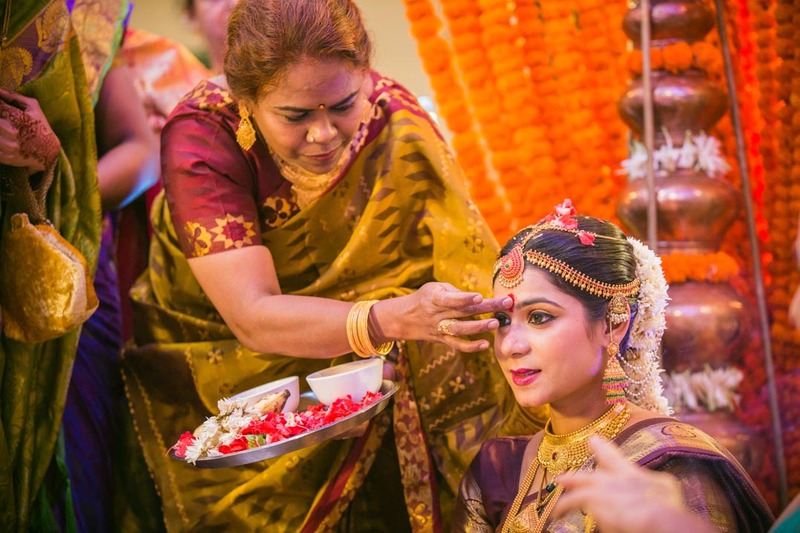 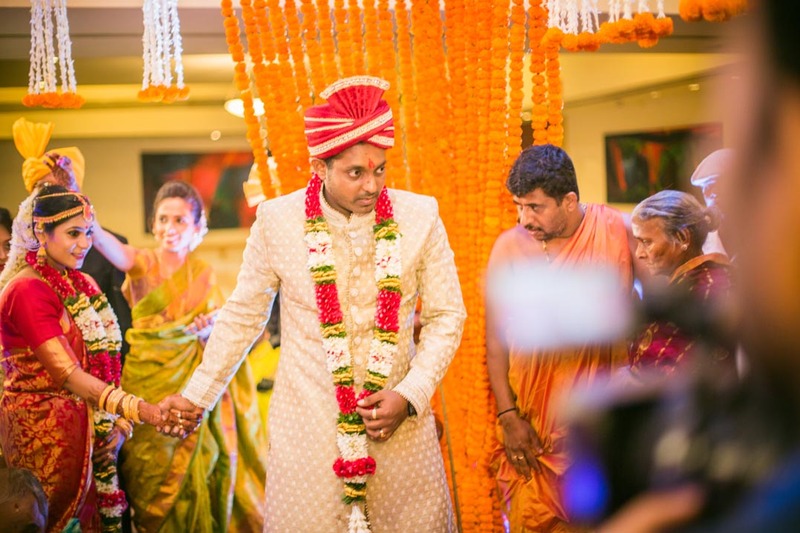 One such story is of Subhalaxmi and Ashwin’s authentic South Indian Wedding. 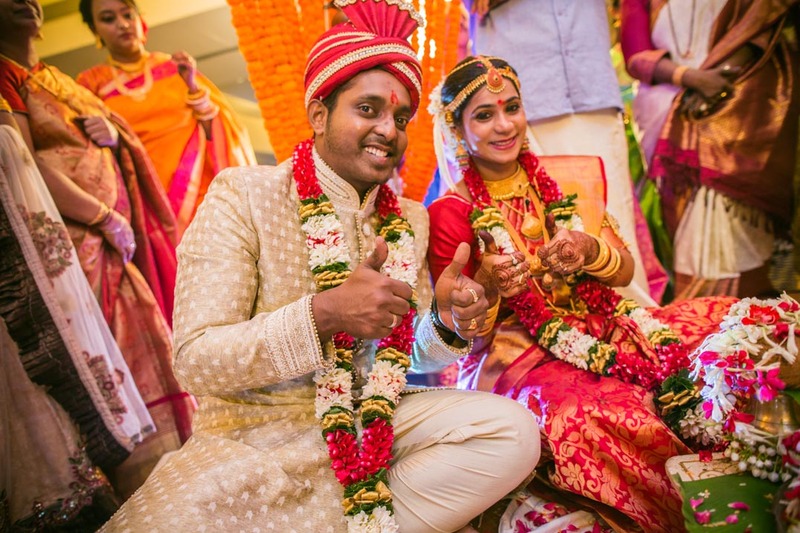 They instantly became our favorite couple, once we got to learn about their different personalities and nature. 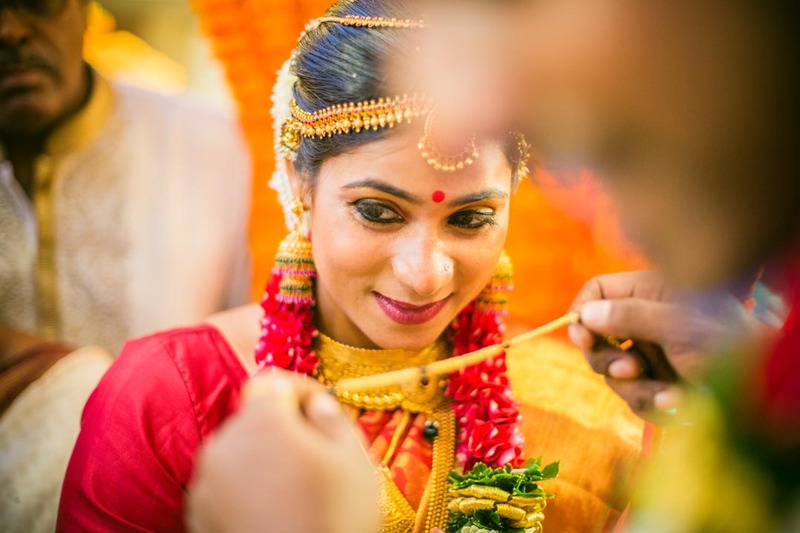 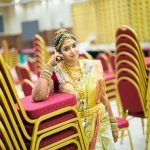 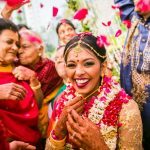 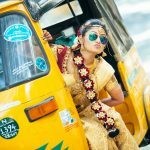 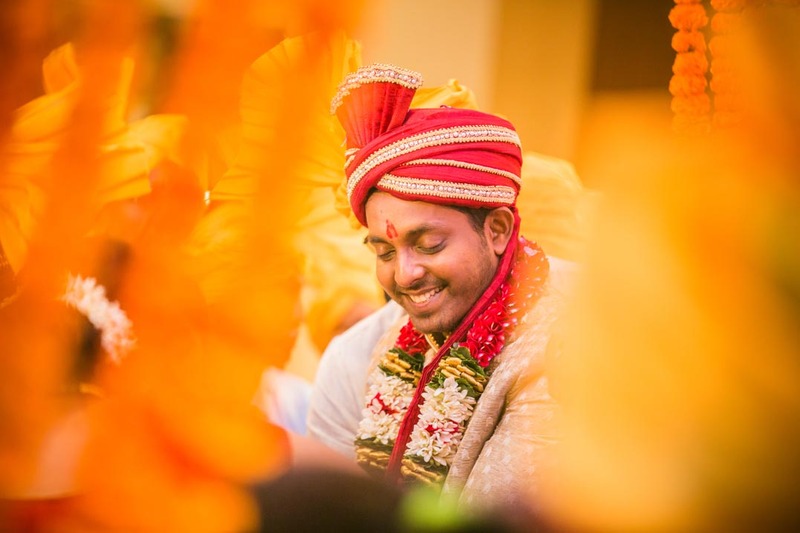 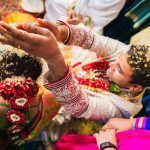 Scroll down and get inspired with this Tamil Brahmin wedding photography shot by the best tamil wedding photographer. 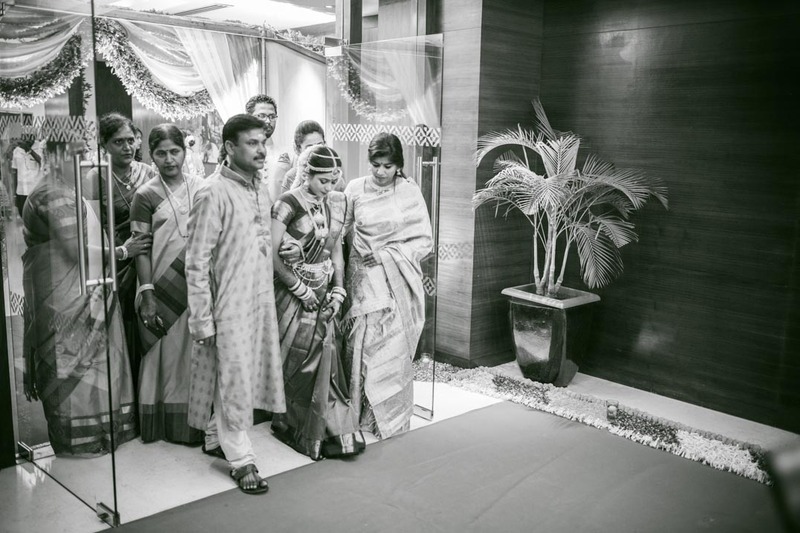 The stark quality of this endearing couple was that their outside outlook was a complete opposite of their actual nature. 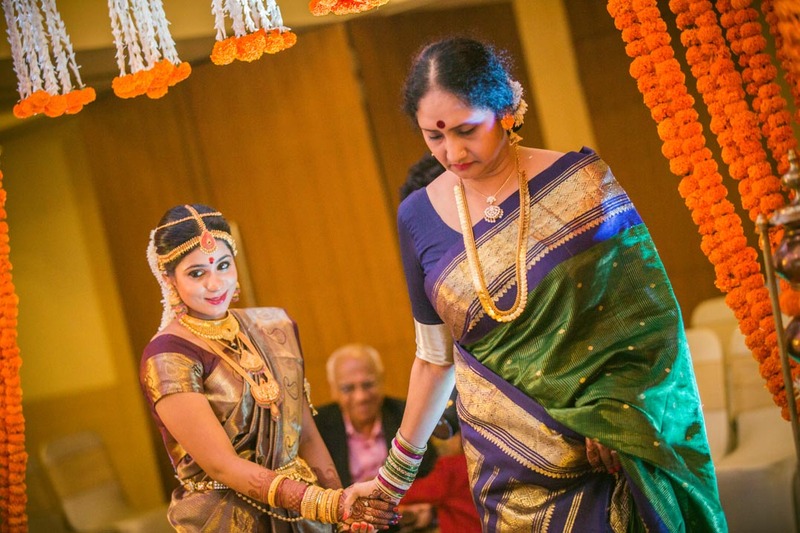 Subhalaxmi, who came across as a coy shy bride is a trained yoga instructor and a trained dance artist. 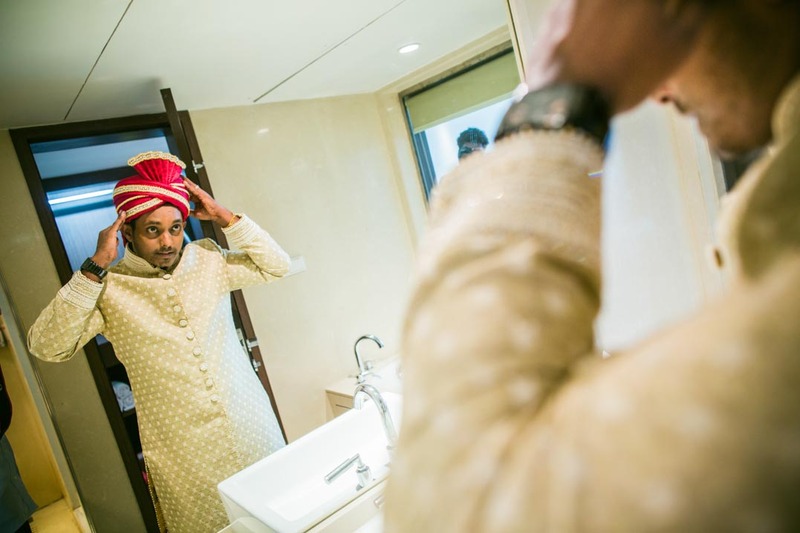 While the groom who came across as an extrovert was the more shy of the two and a very likable, fun-loving person. 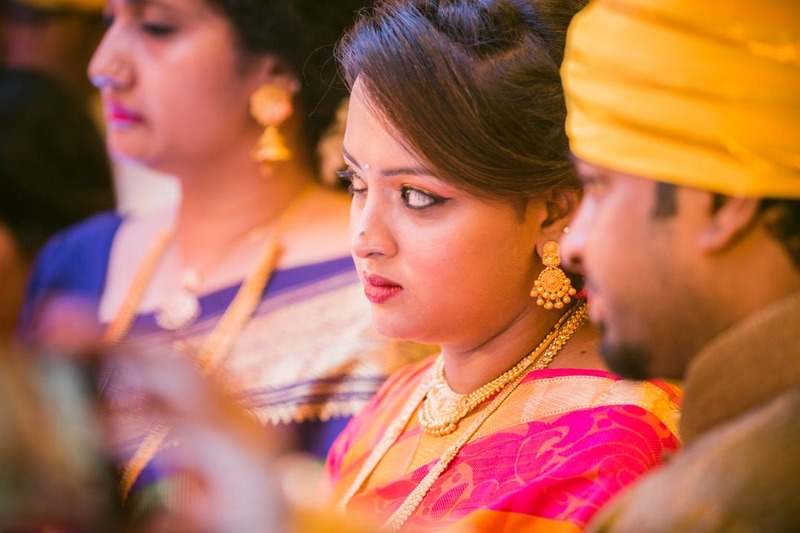 The wedding was a beautiful south Indian Tamil wedding spread over 2 days at Four Seasons hotel in Vashi, Navi Mumbai. 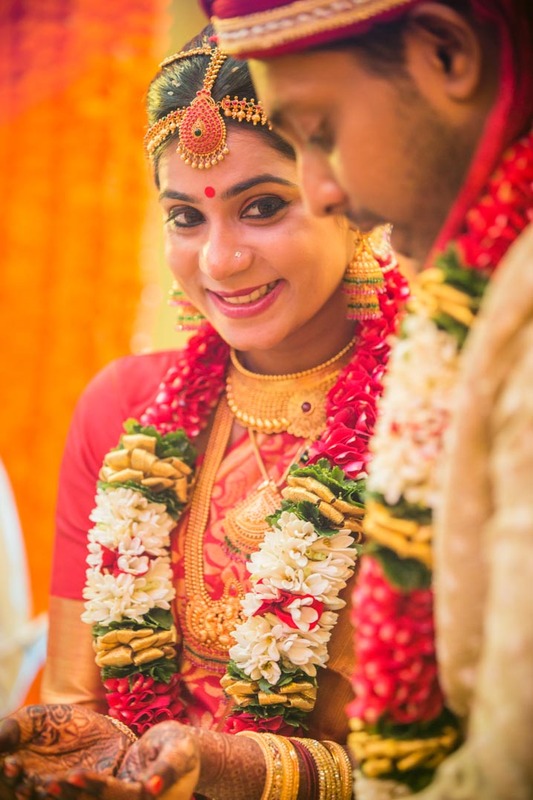 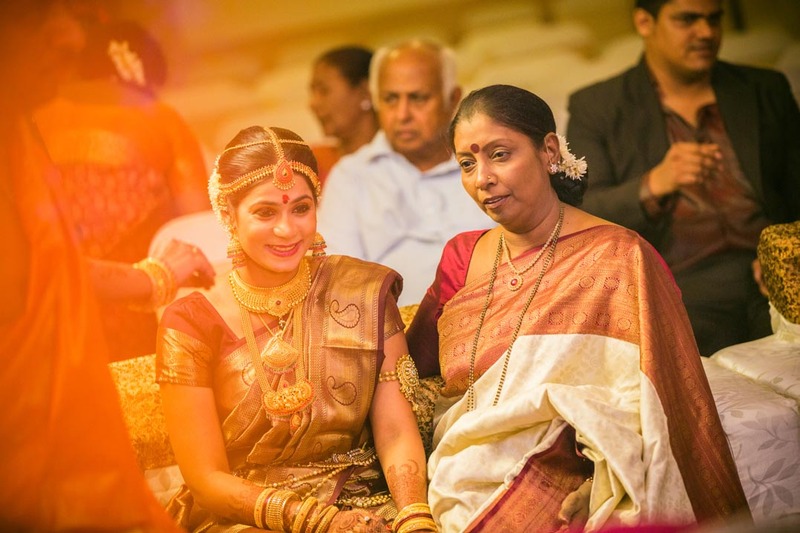 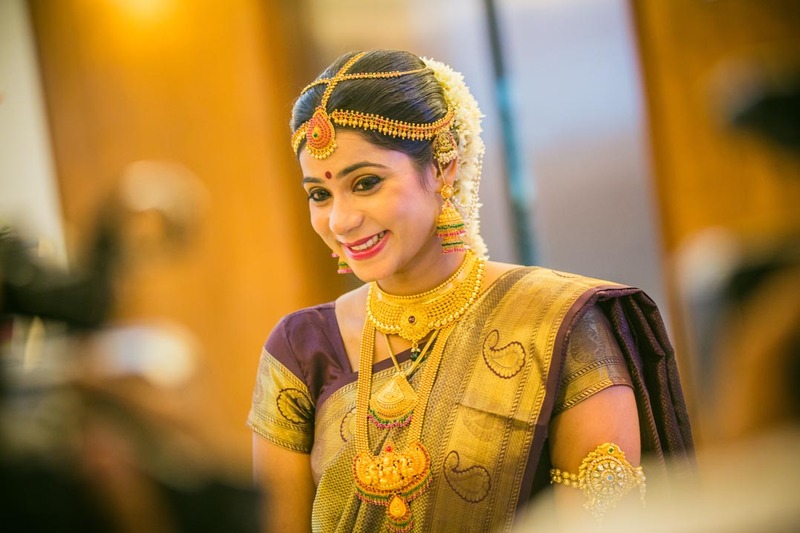 The bride looked really beautiful in South Indian Kanchivaram Saree with majestic temple jewellery. 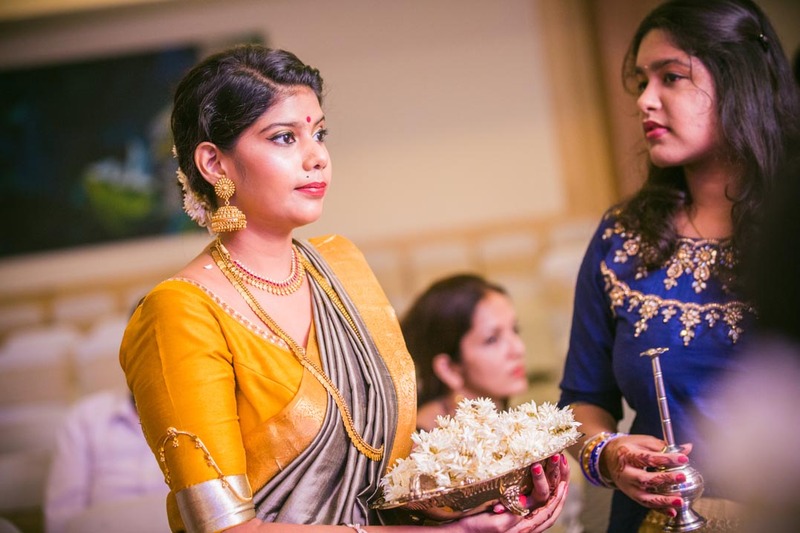 She was looking like a South Indian Goddess. 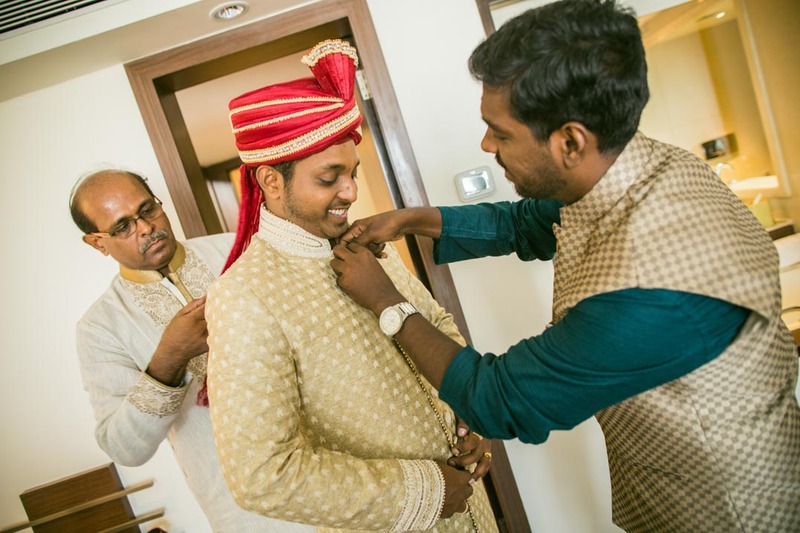 While the groom opted for beige sherwani. 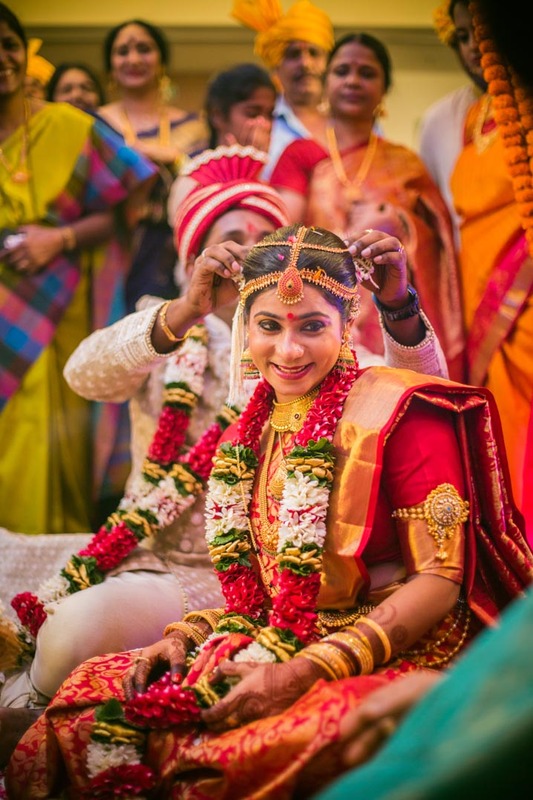 Do leave your comments about this magnificent tamil brahmin wedding photography.